The world is getting hotter. And for those who work outdoors, climate change could mean very dangerous working conditions. As the heat index increases, stricter regulations and safety practices need to be implemented to ensure the health of our workers. Not doing so could be the difference between life and death. People working jobs that require time outside, especially those working strenuous jobs outside must protect themselves from heat illness. The body is vulnerable to heat illness when our natural cooling mechanisms are not enough, allowing out body temperatures to rise to dangerous levels if precautions are not taken such as drinking water and resting in shade or air condition. Heat illness can take many forms, such as heat rash, heat cramps, heat exhaustion and heat stroke which requires immediate medical attention, and can result in death. Extreme heat increases the chances of deaths from cardiovascular and respiratory disease as the raised levels of ozone and other pollutants in the air from climate change exacerbate these diseases along with increased pollen and other aeroallergen levels. Most employers understand the risk of heat illness and prepare by establishing a heat illness prevention programs that provide workers with water, rest, shade and modified schedules for those who need to acclimatize to the hot conditions such as new workers or those who have not been working for a week or more. The danger increases when workers have to wear bulky protective clothing or take part in intensive work tasks; similarly, working in full sunlight can increase the heat index values by 10 degrees Celsius. Though both employers and employees should understand these risks, there are still cases where heat illness caused death. Between 2008 and 2014, the Occupational Safety & Health Administration (OSHA) had 109 reports of workers’ deaths due to heat illness with 15 of those recorded in Texas. Though employers do not have to legally comply with the OSHA standards for heat illness prevention, they must have some version of such a program to protect their workers. With recent increases in the global temperature due to climate change, conditions only become more and more dangerous for workers. In the last 100 years, the world has warmed by .75 degrees Celsius with the last 3 decades successively warmer since 1850. These increased temperatures are expected to cause about 250,000 additional deaths per year from malnutrition, malaria and heat stress between 2030-2050. With increased average temperatures, more frequent and more intense heat waves are expected to occur. Throughout the U.S. the number of days with high temperatures above 90F is predicted to increase, especially in the Southeast and Southwest. If the frequency of heat waves and extreme heat days follows this prediction, then all workers will be at risk for heat illness and even greater measures must be taken in order to protect their health. But more importantly, measures must be taken to prevent the increase of climate change in the first place—this problem that has the power to negatively affect every single aspect of our lives. 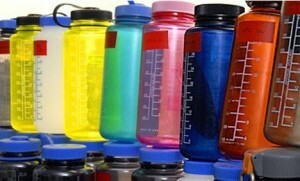 Are BPA-Free Plastics as Safe as You Think? Bisphenol A. In an age of ever-growing consumer awareness and savy, many of us are familiar with this chemical, better known as BPA. We look for the phrase “BPA Free” on our water bottles, Tupperware containers and children’s sippy cups in the hopes we’re protected from negative health effects. Unfortunately, recent reports indicate that this is not the case. Despite the fact that Bisphenol A has been around for over a hundred years, it was only a few years ago in the late ‘00s that much of the danger around the endocrine-disrupting chemical came to light, ultimately leading to the FDA banning its use in baby bottles in July 2012. Despite this ban, which many would see as a confession of the chemical’s danger, the FDA maintains that BPA is still safe in small doses – it’s in everything from canned food to thermal receipt paper. For those not as familiar, BPA is recognized as an endocrine-disrupting chemical – while in the human body it mimics estrogen. Although estrogen is produced naturally in both men and women, ingesting synthetic hormones can have drastic effects on the human body. BPA has been linked to a host of diseases and ailments, particularly breast cancer and hyperactivity. This is especially notable since recent estimates say that 1 in 8 women will be diagnosed with breast cancer in her lifetime and 1 in 5 high school-age boys in the US will receive an ADHD diagnosis. While independent studies have found BPA to be highly dangerous in lower doses with “More than 95 percent of people in developed countries… exposed to levels of BPA that are “within the range” associated with health problems in animals, from cancer and insulin-resistant diabetes to early puberty”, the government is arguing that the chemical is still safe to use in small amounts. There are, however groups saying that the government study is flawed, mostly due to the fact that the control group in the study ended up being compromised. Even if you limit your plastic use to only BPA-Free plastics, studies suggest you might not be as safe as you may think. A report published by Environmental Health Perspectives authored by a professor at University of Texas at Austin notes that “almost all” commercially available plastics tested contained “estrogenic activity” – the thing about BPA that makes it so dangerous. 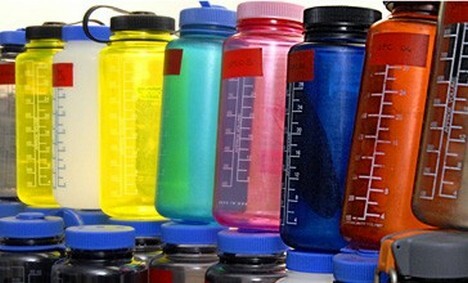 In the wake of all the attention around BPA, lots of tests have been done to test the potential health implications of other types of widely accepted plastics. A field guide to help decipher these plastics and the estrogenic activity of the chemicals in them can be found here. One of the most concerning things about this plastics debate is the degree to which the chemical and plastic companies are subverting and ‘spinning’ information in an attempt to avoid regulation. As Public Citizen continues to push people before profits, it’s still important to try and do research on items you bring into your home whenever you can. When in doubt, avoid plastic if you can and opt for glass or metal containers or bottles. You asked for it, we listened! We’ll have a panel of knowledgeable, experienced, community leaders who have been involved in promoting measures to protect our health, safety, and property rights! Photo Courtesy of Donna Hoffman at the Lone Star Chapter of the Sierra Club. Thanks Donna! Dozens of businesses and nonprofit organizations as well as more than 200 citizens have formed Clean Energy for Austin, a coalition whose purpose is to push Austin City Council to adopt a clean energy plan. Specifically, the coalition supports the passage of Austin Energy’s Resource and Climate Protection Plan and recommendations of a city task force created to examine the plan. Coalition members support the plan because of its emphasis on renewable energy and efficiency, green jobs creation and careful consideration of Austin’s low-income residents. To date, more than 70 businesses, 18 non-profit organizations and more than 200 individuals have signed on in support of the energy plan through www.cleanenergyforaustin.org. The energy plan is a road map for how Austin Energy, the city-owned electric utility, will meet the city’s energy needs over the next 10 years. It includes a substantial investment in energy efficiency and a variety of renewable energy resources like wind and solar, as well as new more efficient natural gas plants. In addition to diversifying its generation portfolio, Austin Energy wants to create a self-sustaining market for renewable technologies like solar rooftops and parking lots by 2020. The plan is the culmination of a nearly two-year public process of gathering input from multiple stakeholder groups, including businesses, environmental organizations, and groups serving low-income communities. 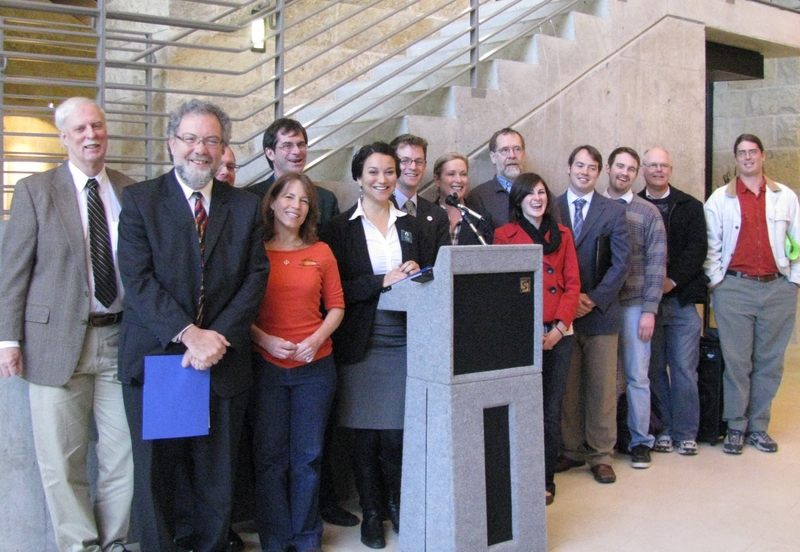 Four representatives from the mayor’s Generation and Resource Planning Task Force, which analyzed more than a dozen scenarios of where Austin could get its power by 2020, are members of the coalition: Phillip Schmandt, chairman of Electric Utility Commission, Cary Ferchill, chair of Solar Austin, as well as non-profit members Public Citizen and Sierra Club. Energy efficiency, generally recognized as the cheapest energy resource, would be the main component of the plan. Austin Energy would take a more proactive and coordinated approach to reach low-income households with free weatherization to help lower their electric bills. Coalition representatives also said that the plan reduces financial risk associated with overreliance on fossil fuels. The plan would enable Austin Energy to ramp down the Fayette coal plant more often, protecting the utility from pending carbon regulation. Austin’s City Council could vote on the plan in March, according to Austin Mayor Lee Leffingwell. 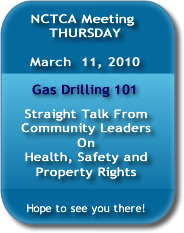 He has scheduled a Feb. 22 town hall meeting on Austin Energy’s Resource and Climate Protection Plan. Coalition members urge the public to visit www.cleanenergyforaustin.org and sign on as well as attend the town hall meeting to show their support. White Stallion’s air permit hearing before the State Office of Administrative Hearings begins today and will last through Feb. 19. That office will make a recommendation to the Texas Commission on Environmental Quality (TCEQ). The air pollution permit is the first step; the project still will need a wastewater permit from the TCEQ and an additional permit from the Army Corps of Engineers. If granted an air permit, White Stallion will increase emissions of nitrogen oxide (NOx), the principle component of ozone, by more than a third in Matagorda County, where the plant will be located. That translates to more than 4,000 tons per year of NOx that would blow into the Houston area, dramatically increasing ozone levels in the non-attainment region. Last year, the Environmental Protection Agency (EPA) ruled that the TCEQ has not been adhering to the Clean Air Act in its issuance of new air permits, but the TCEQ has failed to change its permitting process. For this reason, Texas legislators, including Reps. Hernandez, Jessica Farrar (D-Houston) and Kristi Thibaut (D-Houston), sent appeal letters this week to Dr. Al Armendariz, regional administrator of the EPA, urging the agency to step in and provide much needed guidance and oversight to the TCEQ. Their letters asked that the White Stallion power plant not be given an air permit to begin construction until the EPA ensures that constituents will receive the full public health protections of the federal Clean Air Act. “I urge TCEQ and the EPA to deny the permit authorizing the White Stallion coal plant to be built in Matagorda County. 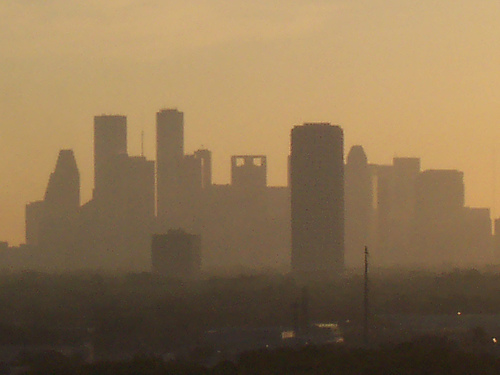 Texas’ air quality must be improved for the good health of every Texan. 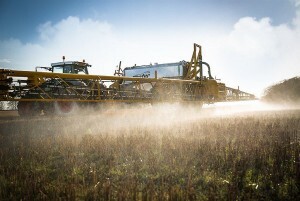 The goal of clean air and clean water can be obtained by a commitment to reducing air contaminants,” Farrar said. Despite the fact that a new coal plant could hinder Houston’s ability to meet federal regulations, the TCEQ refuses to predict or consider air impacts that are outside the non-attainment region. In fact, the TCEQ executive director filed legal briefs arguing that evidence showing White Stallion would contribute to ozone problems in the Houston area is irrelevant to the decision of whether to grant the White Stallion air permit. The TCEQ similarly refuses to consider cumulative impacts when granting an air permit, such as the fact that the 30-year-old Parish coal plant is only 50 miles northeast of the White Stallion site and also within the Houston/Galveston non-attainment region. White Stallion would also pull 36,000 acre-feet of water from the Colorado River every year. Increased activity from the two barges required to deliver coal every day would contaminate the water with toxic runoff and erode the embankments. The proposed plant would be located along a 100-year floodplain and would store coal ash waste on site. In the event of extreme weather, that toxic waste could easily wash into public waterways. If the project is granted its air permit, advocates still have a chance to challenge the permit in state court and to reform the TCEQ through the sunset review process.